See-Dub: The secret to a successful family vacation. It's no secret that our family LOVES an old-fashioned load-up-the-family-truckster road trip. In the last five years, we've taken three long-haul vacations: Grand Canyon and Colorado (including Santa Fe, Petrified Forest, Mesa Verde, Durango and Colorado Springs); Washington, DC (along with Memphis, Nashville, Monticello, Mount Vernon, Williamsburg, Outer Banks and Atlanta); and last year's Disney World extravaganza (as well as New Orleans and Orange Beach, Alabama). While it's great to fly, we love the convenience of having our own vehicle (complete with a picnic cooler in the back), the thrill of taking in the changing landscape, and of course, the hilarity of interstate sing-alongs and car games. "Such a fine sight to see..."
Friends sometimes ask about certain destinations we've visited, wanting a couple of tips, and I'm always happy to share. But there's one general suggestion I have hesitated to mention since it ventures into TMI territory. Even so, because I believe it can save you hours of discomfort while promoting family harmony, I'm flush with excitement to finally reveal our big secret. Four people sharing one hotel room (and more importantly, one bathroom) will breathe easier if you remember to pack the Febreze. When nature calls, a good air freshener is the answer. Bonus tip: If you use a new scent on your vacation, once you return home, that aroma will give you and your family nice sensory flashbacks to your trip. Instant olfactory nostalgia. I keep one of these little guys in my suitcase cosmetic bag, and it comes in handy, even for quick weekend get-aways. 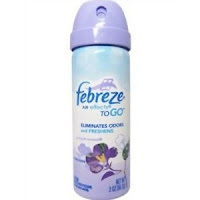 For some reason we've stuck with the Febreze Air Effects brand, and even though it's not a "fabric refresher" like regular Febreze, it can be used like that in a pinch. 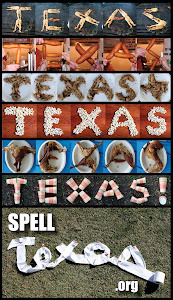 So there you have it: my favorite road trip tip. When you're on the go and gotta go, share a spray and save the day!